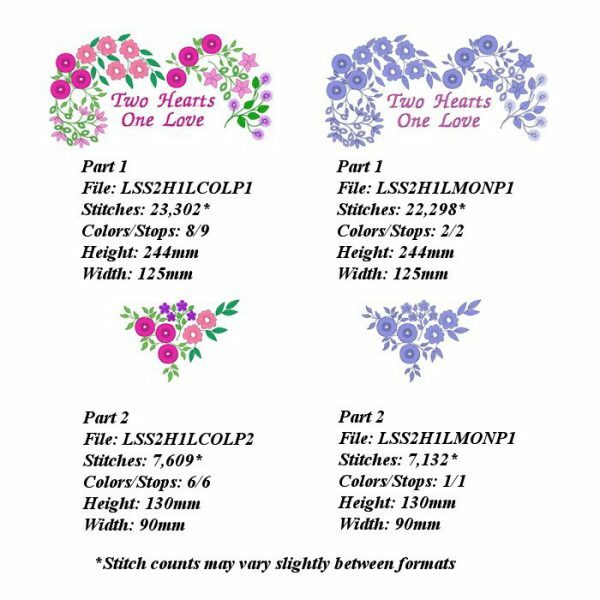 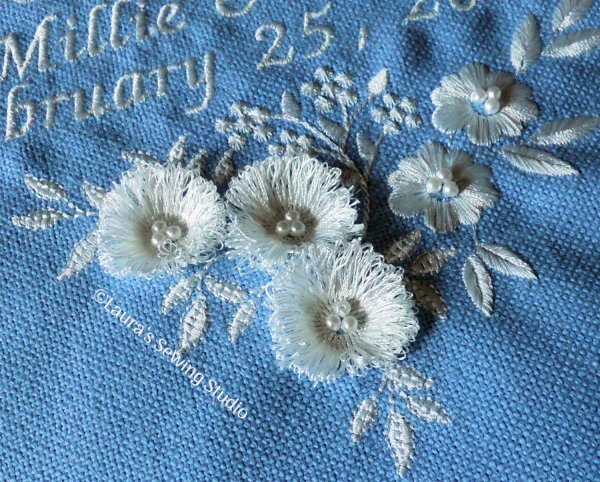 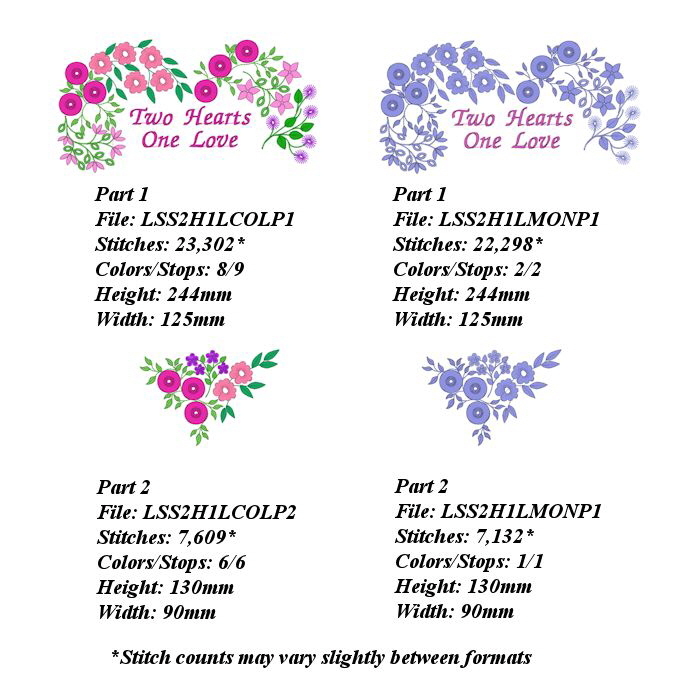 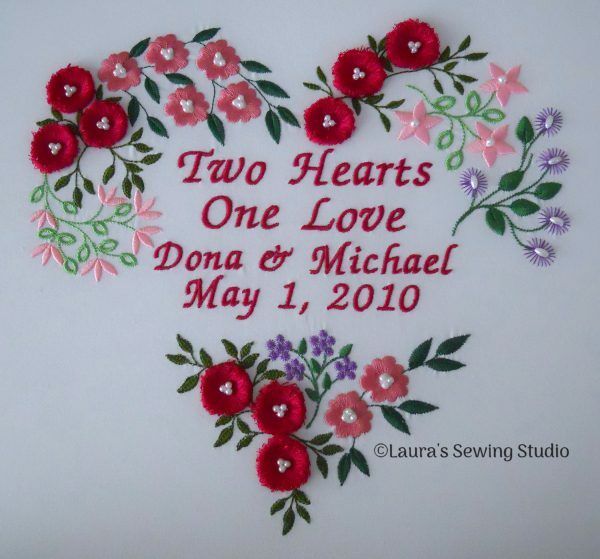 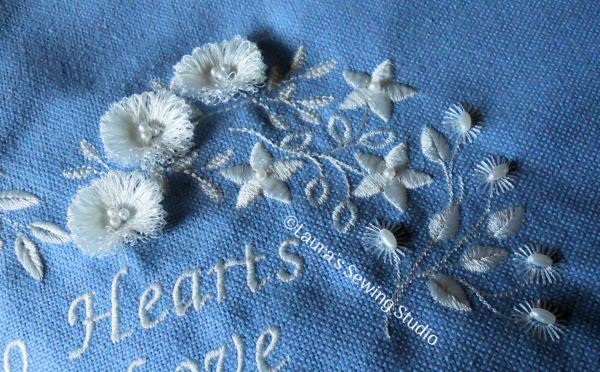 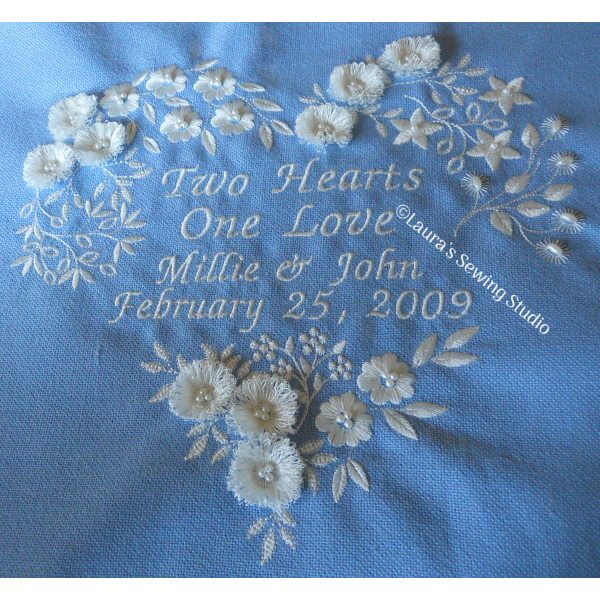 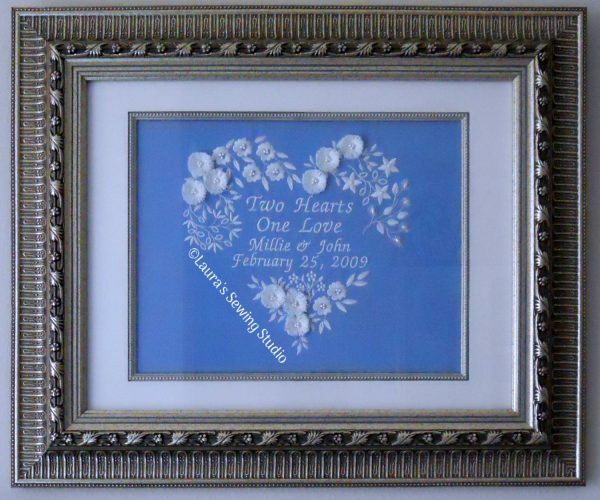 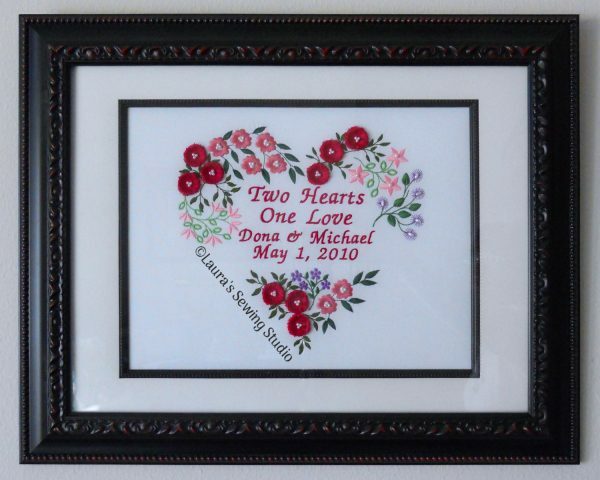 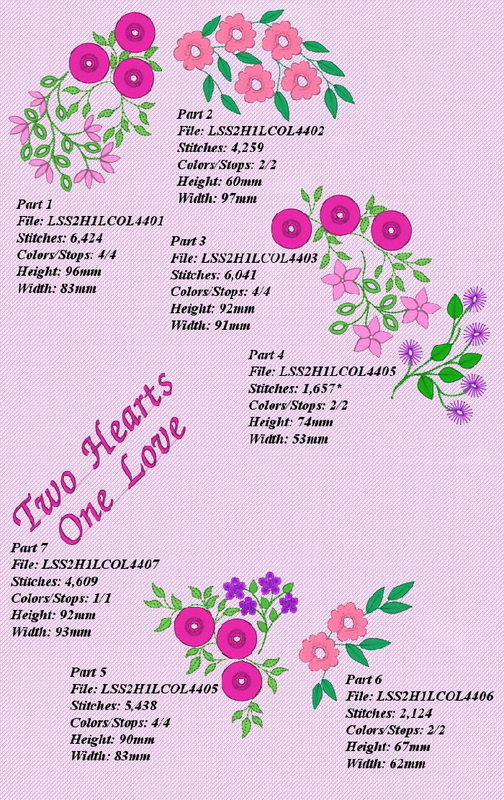 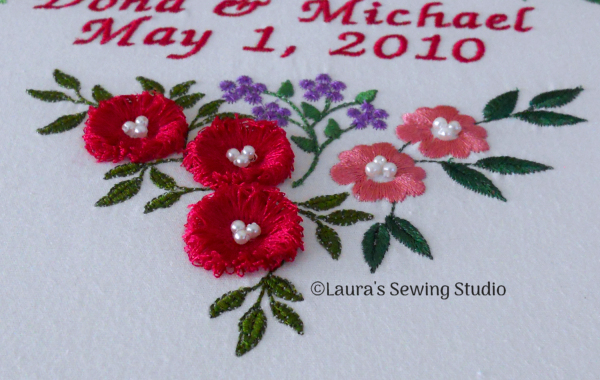 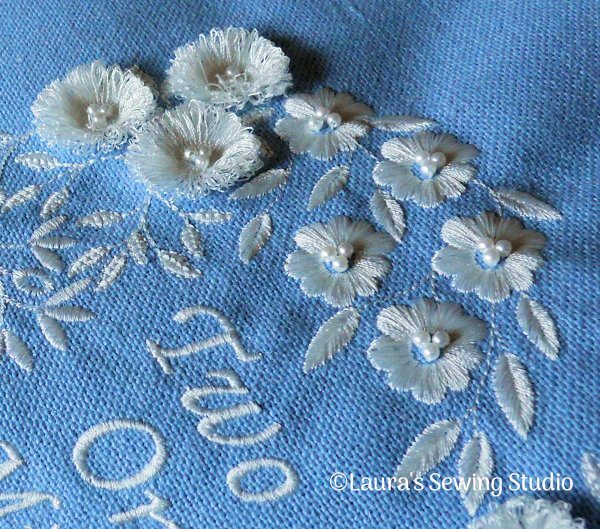 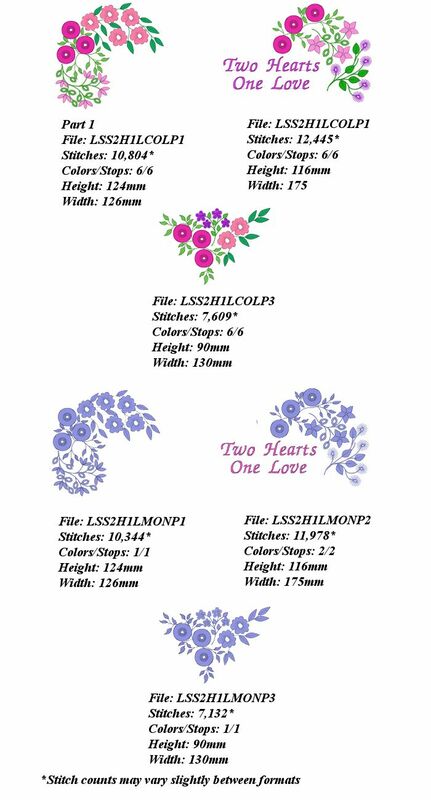 Two Hearts, One Love is a large, multi-part machine embroidery project, divided into sections that may be sewn in the 4×4, 5×7 or 6×10 hoops. 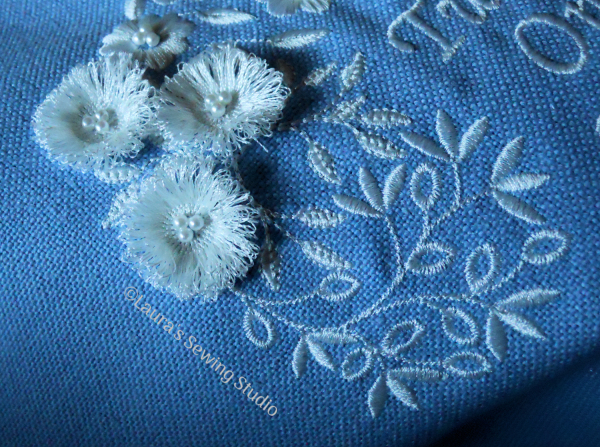 When finished, the project measures 9 x 9½ inches. 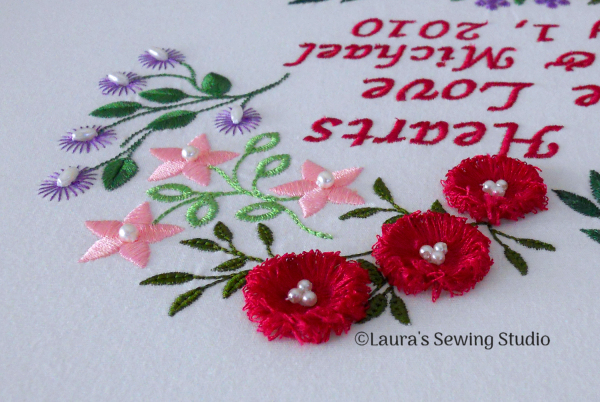 See my tutorial how to release this type fringe.